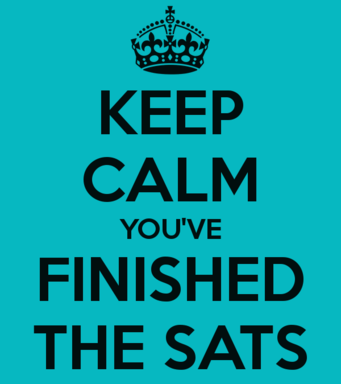 KS2 SATS over for another year! 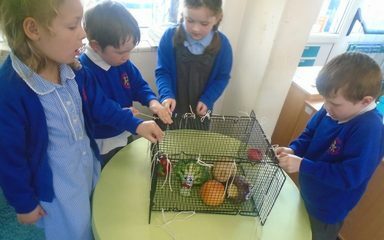 In science we have been learning about plants and what they need to grow. 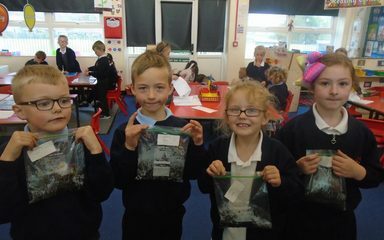 This week we all planted broad beans into plastic bags. We will watch them over the coming weeks and record their changes in our bean diaries. 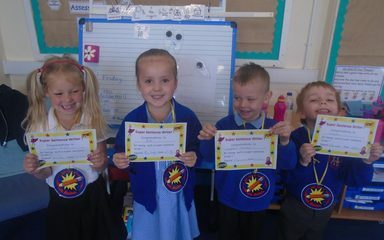 The children in Reception are loving practising their Super Sentences and have continued to work really hard on them this week. 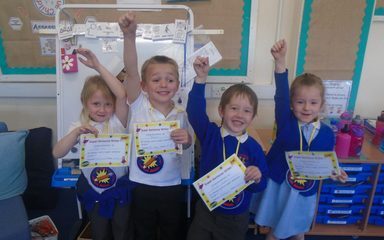 Congratulations to the Super Sentence Writers of the Week – very well done to you all!